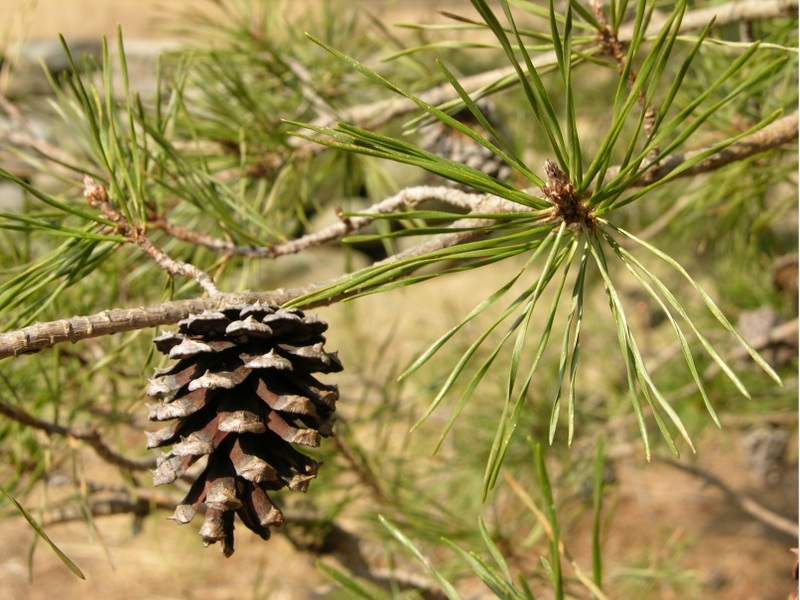 Pinus virginiana is a small evergreen gymnosperm tree 10-23 m tall, branches long, horizontal, twigs purplish smooth, tough, fibrous, not breaking sharply. Leaves needle-like, in bundles of two, to 8 cm long, 0.1 cm wide. Flowers: None. Gymnosperm. Monoecious; male cones small, deciduous. Female cones conical, 4-7 cm, persistent, scales prickle-tipped (Sullivan 1993). Frequency in New York City: Very infrequent (NYS Rare S1, E). Origin: Native; NYC northern limit of natural range (able to grow in Canada however). Habitat: Dry, sandy soil, pH 4.6-7.9. Intolerant of shade (Baker 1949; USDA, NRCS 2010). South Staten Island. Planted in restoration at Idlewild. Notes: diseases include heart rot and pitch canker. Attacked by southern pine beetle, Virginia pine sawfly, redheaded pine sawfly, and pales weevil. Notes: Infected by heart rot and pitch canker. Attacked by southern pine beetle, Virginia pine sawfly, redheaded pine sawfly, and pales weevil. Young trees girdle meadow mice may girdle young trees (Sullivan 1993).